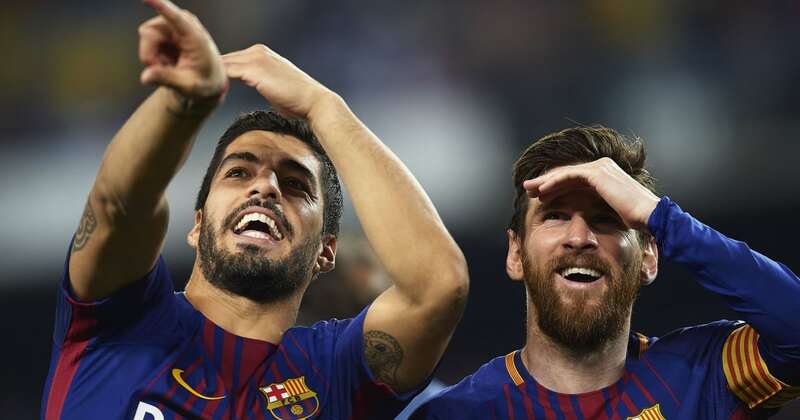 Barcelona will kick off their season with a Supercopa de Espana fixture against Sevilla in Tangier, Morocco on Sunday. The cup match will be a bit different this time around and will only be played over a single leg. Also, this will be the first time it will be taking place outside of Spain. Here’s how Ernesto Valverde could line his men up for this upcoming match. Marc-Andre Ter Stegen (GK) – He should be the one in goal for the Primera Division title holders when they play their first competitive game of the season. The German stopper has become the side’s main man between the sticks and should be the one who gets the start, although Jasper Cillessen could pip him for the nod. Nelson Semedo (RB) – The most likely choice to start at right-back, with Sergi Roberto suspended after picking up a red in Barca’s final fixture of last season. Gerard Pique (CB) – The Spaniard will function in his usual centre-back role for this one. Clement Lenglet (CB) – Lenglet could be handed a competitive debut against his former side after joining La Blaugrana this summer as Samuel Umtiti might not be ready given his late return from holiday. Jordi Alba (LB) – Jordi Alba has been a mainstay at left-back for Barca and will more than likely start. Malcom (RW) – The club’s new acquisition could be handed a chance to show his worth as he prepares for life as an Barcelona player. Ivan Rakitic (RCM) – The Croatia star is one of Barca’s creative influences in the middle and will most probably start. Sergio Busquets (LCM) – Busquets will likely start in the middle for the Spanish champions, while Arturo Vidal or Arthur could also push for some action. Philippe Coutino (LW) – The former Liverpool man will start on the left side of the midfield but is prone to cutting inside on his right to create and score. He should do just that. Lionel Messi (ST) – The Argentinian hitman isn’t suffering from any injuries. So of course, he starts. Luis Suarez (ST) – Another no-brainer. Luis Suarez will play up front with his favourite partner in crime, with the pair looking ahead to yet another fruitful collaboration for the upcoming season.